Works in Real Estate for people without commission and to provide every one their own home. Suitable location for living as all food provisions are available here. Good connectivity. A city where you can live your life happily with your family. It is a good city as it connects to 4 states, transport facilities are also very good in the city. This township is very good for residential & investment purpose, the security is also very good of the society. 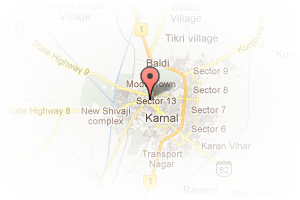 Address: #499, Sector 4, Karnal, Haryana, India. 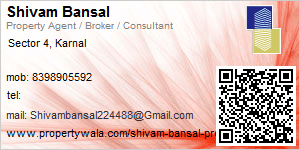 This Broker Profile page for "Shivam Bansal property advisor" has been created by PropertyWala.com. "Shivam Bansal property advisor" is not endorsed by or affiliated with PropertyWala.com. For questions regarding Broker Profiles on PropertyWala.com please contact us.